During the ninth project review of the Games, which forms part of the hosting process, The Tokyo Organising Committee for the 2020 Olympic and Paralympic Games (TOCOPG) confirmed the date for the lighting of the Olympic flame and a number of construction schedules. The committee said the Olympic Torch Relay will begin on 12 March 2020 and that volunteer sign-ups will begin on 26 September this year. Tokyo 2020 also released the initial competition schedule. The latest details regarding the Games were launched soon after TOCOPG finalised its plans for the venues for the Games. In a statement, TOCOPG said it had added the "final pieces to the facility puzzle" by agreeing deals for the seven venues needed to host the Olympic football competition. In total, the Games will use a total of 43 venues, including 25 existing, ten temporary and eight new permanent venues. The latest review session was overseen by the IOC. 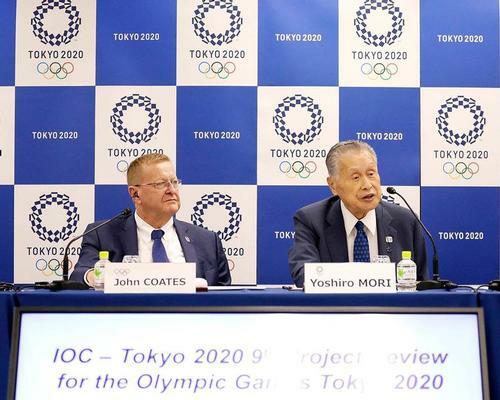 "Tokyo 2020’s Olympic Games plan is really starting to take shape,” said IOC Coordination Commission chair for Tokyo 2020, John Coates. “We are now at a point where we are working with the Organising Committee on planning on an item-by-item basis. This Project Review was an opportunity to give guidance on any subjects that needed clarification."